Grave of Bridget Nolan, Knockpatrick, Co.Limerick. 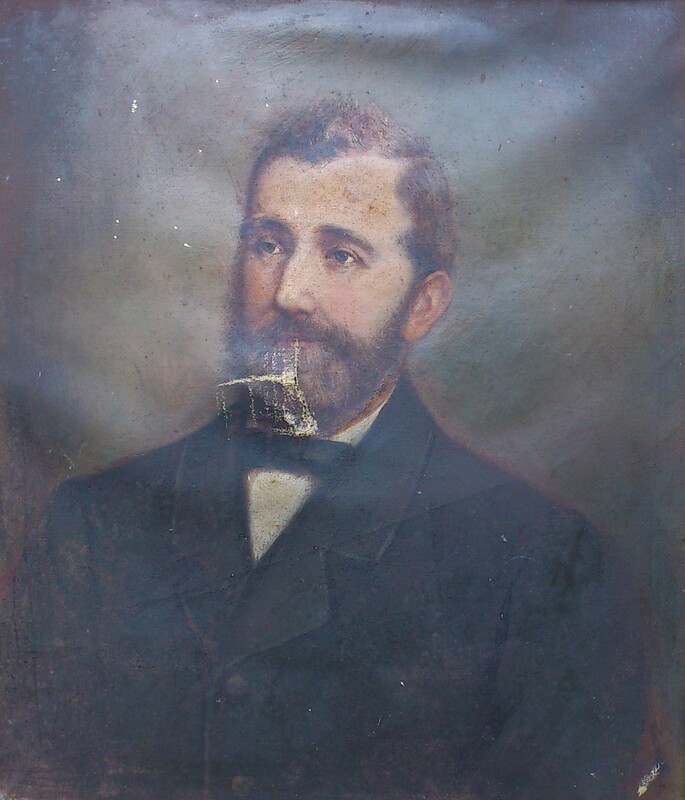 Portrait unfortunately damaged. Repair planned. born 1829 or 1830, Kilbane, near Limerick city. 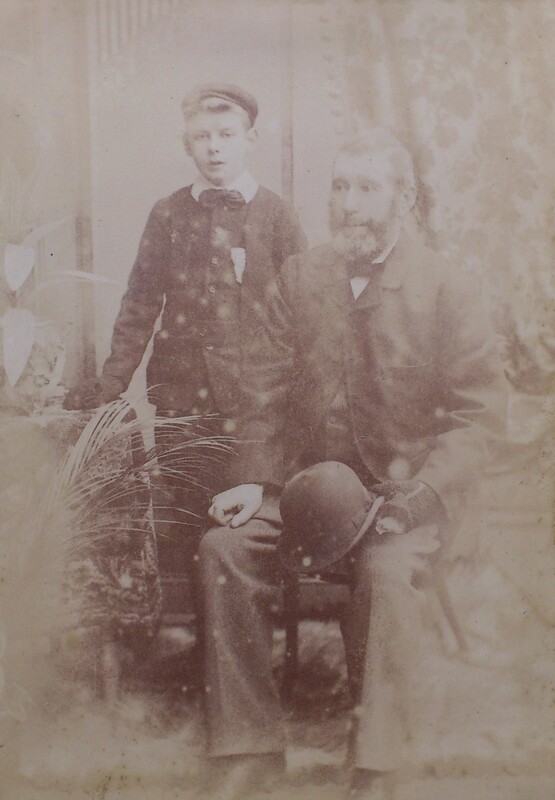 He and some siblings moved c.1853 to W Co.Limerick. 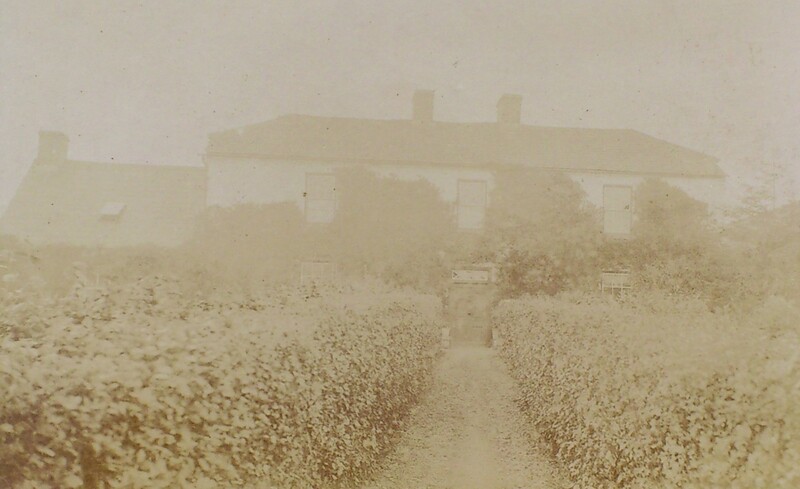 William lived at South Cappa (Mount Trenchard), near Foynes, W Co.Limerick. His brother John seems to have been at South Cappa first (as at 1858) and then John took Kilbane and William took South Cappa. His brother Fr. Tom Nolan, the Fenian priest went to him at South Cappa for help when he was on the run in 1867. He mar 8 Feb 1870 [Shanagolden RC par records] to Bridget Nolan [bapt 12 Apr 1838, of Ballyane, near Shanagolden, W Co.Limerick]. The mar was wit by James Nolan and Cornelius Nolan. Can't find mar in [GROI]. They were living South Cappa by 1871 (since children baptised in the area). Bridget died South Cappa, 11 Dec 1884, age 46 yrs (3 months after giving birth). She was bur Knockpatrick, Co.Limerick. 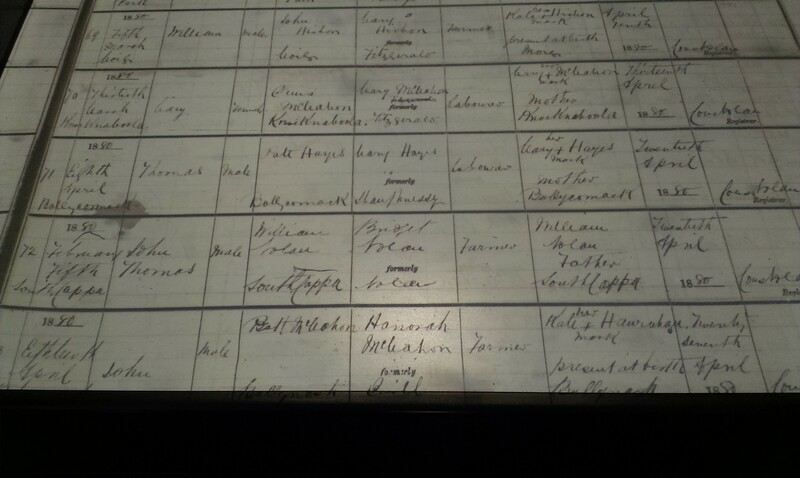 William is listed as farmer, of South Cappa, at death. He died South Cappa, 24 Nov 1900, age 70 or 71 yrs. See entry in [GROI]. apparently also bapt 12 Apr 1871, Shanagolden. (todo) see death of Alice Nolan, Wexford, [GROI], 2nd qr 1944, age 68 (born 1876), vol 4 p 467.
bapt 30 May 1878 [Loughill RC par records], sp Rev. Michael ---- and Ellen Danaher. bapt 7 Feb 1880 [Loughill RC par records], sp John Fitzgerald and Alicia Nolan. William Nolan with one of his sons. 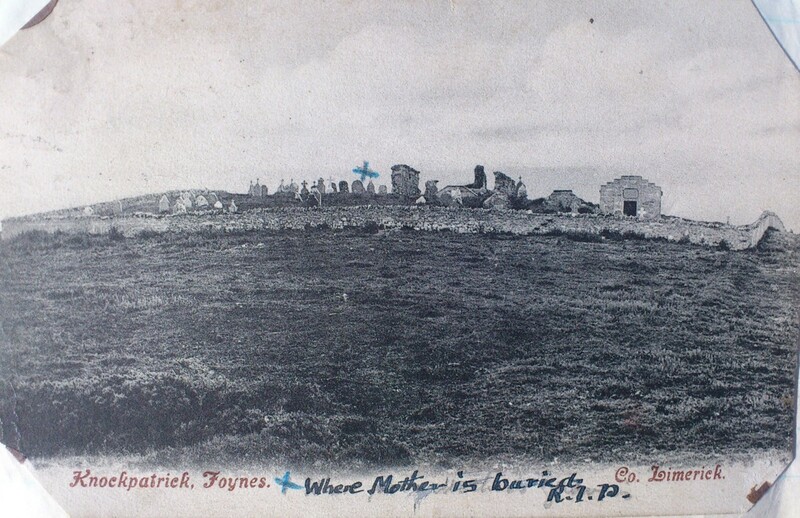 Apparent location of grave of Bridget Nolan at Knockpatrick. 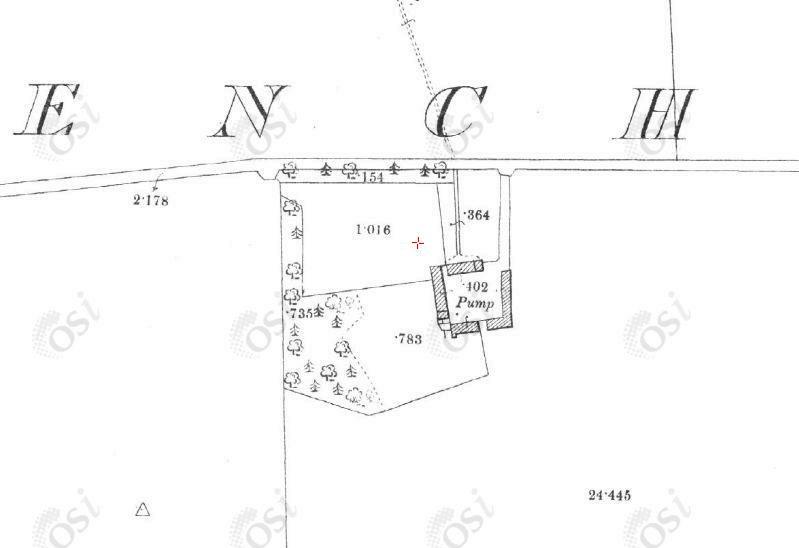 The Nolan house at "South Cappa" is in Mounttrenchard townland, Loghill par, between Loghill and Foynes, W Co.Limerick. It is just S of the Mount Trenchard demesne. The Nolan house at South Cappa, on 1887 to 1913 map.